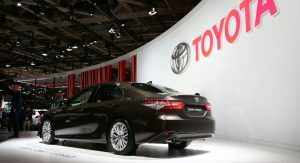 The Toyota Camry has returned to Western Europe following a nearly 14 year long hiatus. 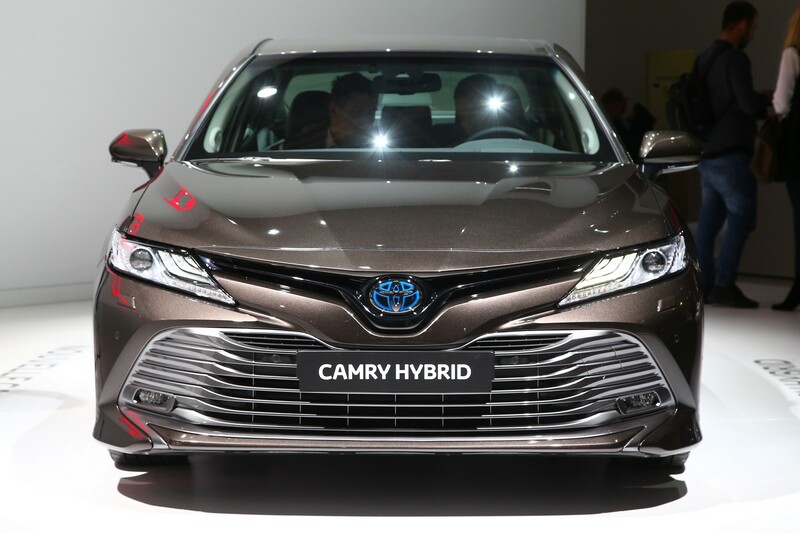 Currently on display at the Paris Motor Show, the 2019 Camry Hybrid looks virtually identical to its North American counterpart. 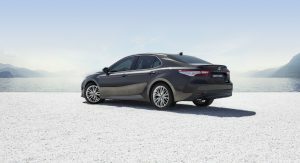 As a result, the sedan has a bold front fascia with a slender grille that resides above a massive air intake. 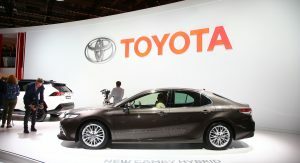 The model also has blue Toyota logo which is flanked by Hi-LED headlights. 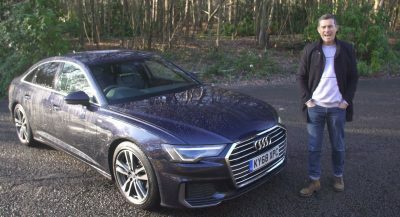 The familiar styling continues further back as the sedan has flowing bodywork, a dynamic beltline and “protruding shoulders” over the rear wheel arches. 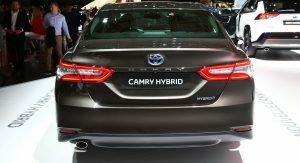 Continuing to the rear, the Camry Hybrid has LED taillights and a spoiler which is integrated into the trunk. 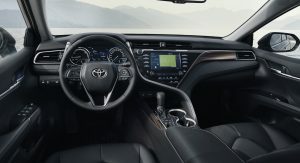 Moving into the cabin, drivers sit behind a three-spoke steering wheel and find themselves looking at stylish instrument cluster which features a seven-inch color display. 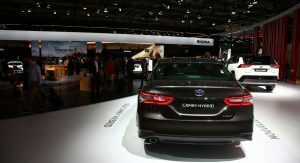 The model also has soft-touch plastics, piano black accents and an infotainment system with an 8-inch display. 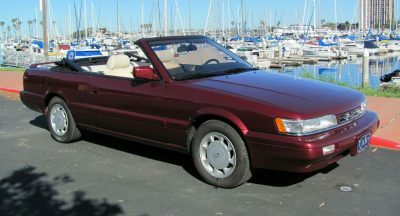 Rounding out the highlights are faux wood trim and a 10-inch head-up display. 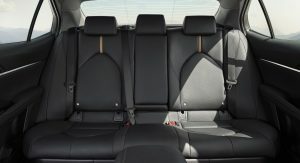 The standard model comes with 60:40 split folding rear seats, but the car can be equipped with power reclining rear seats. 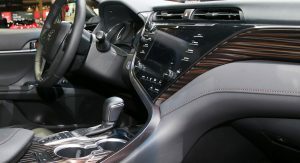 When the latter option is selected, customers can order a touchscreen which provides rear seat occupants with controls for the climate control and audio system. 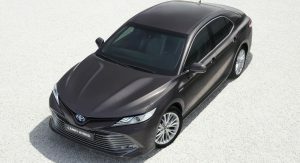 Speaking of technology, all Camry Hybrids will come standard with the Toyota Safety Sense suite of driver assistance systems. 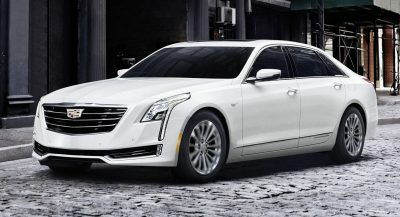 It includes Adaptive Cruise Control, Automatic High Beam Assist, Lane Departure Alert, Road Sign Assist and a Pre-Collision System which can detect pedestrians. The car can also be equipped with a Blind Spot Monitor with Rear Cross Traffic Alert. Power is provided by a hybridized 2.5-liter four-cylinder engine that develops 215 hp (160 kW / 218 PS). 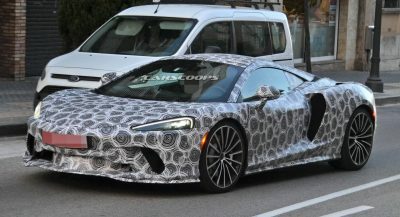 Toyota didn’t go into a lot of specifics, but the US-spec model has the aforementioned engine as well as an electric motor that develops 118 hp (88 kW / 119 PS) and 149 lb-ft (202 Nm) of torque. 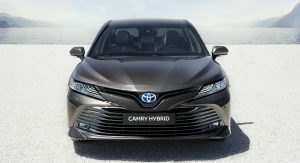 However, the American Camry Hybrid has a combined output of 208 hp (155 kW / 210 PS) so the Euro-spec variant is slightly more powerful. 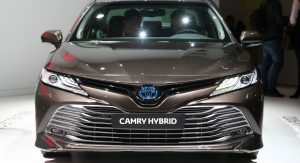 While Toyota was tight-lipped on details, the automaker confirmed the car will have a fuel consumption rating of 4.2 L/100 km (56 mpg US / 67.2 mpg UK). The Carmy will also have CO2 emissions as low as 98 g/km. 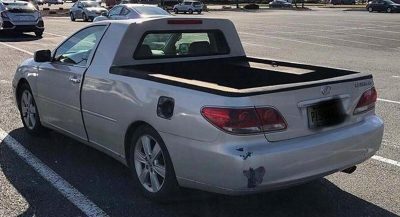 Probably related to fuel octanes. Our regular gasoline is 95 octanes, premium 98 or 100.